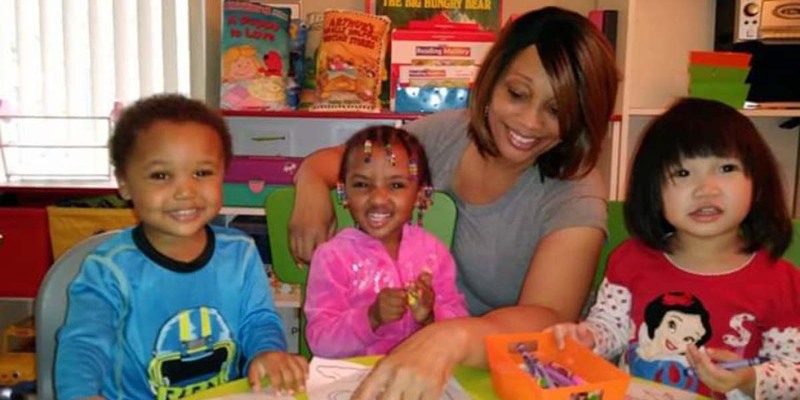 Crystal Jeter works 18 hours a day taking care of some of Detroit’s neediest children. She’s registered, experienced and in huge demand — and yet is barely getting by. Jeter, 49, interprets her role as caregiver broadly. She buys clothes for children, braids toddlers’ fragile hair, resolves fights between parents, and even drives fathers to work when their cars conk out. She doesn’t mind the work, she said, but her struggle to make ends meet in a state where reimbursement rates for childcare providers are among the nation’s lowest illustrates why the city faces a dire and growing shortage of registered caregivers for infants and children. Businesses gain from stable child care, but what are they doing about it? The financial demands of providing early education in Michigan have contributed to Detroit’s status as a “child care desert,” a place where access to quality early learning is limited or unavailable. The city is short licensed or registered early child care and education slots for at least 28,000 children ages birth to 5, according to IFF, a nonprofit community development financial institution. In the 12 months through May, nearly 200 home providers like Jeter left the business — while just seven centers opened, according to Michigan records. That contributes to a critical long-term problem for Michigan. A growing body of research shows high-quality early childhood programs nurture brain development, enhance school performance and boost the likelihood of graduating from college and earning higher incomes. Quality early care also improves health in adulthood, researchers found. Related: Detroit gave big tax breaks to lure jobs. Too bad they pay so little. Registered small-scale home care accounts for only 6 percent of Detroit’s child-care slots. But home care center play an important role, because of their location in communities and their relatively low fees, providing quality care for low-income families. While much of home care and babysitting happens informally, a license and registration ensures minimum safety and quality care standards, and that children are learning rather than just being watched. The economics squeeze larger child care centers as well, contributing to a shortage with worrisome consequences. A look at Jeter’s experience explains why, and why Detroit’s child-care system faces a crisis. After leaving her job as a teacher’s assistant last year, she plowed $11,000 into renovating her home to care for and teach children. She transformed her living room into a colorful play area-classroom-entertainment zone. She shopped for used kids’ furniture on Facebook Marketplace, found discount curriculum on Amazon and put sweat equity into her remodel. Opening her Creative Hearts Childcare in March 2017, she advertised by spending $1 a day on Facebook ads to reach at least 1,000 people in her immediate area and touting round-the-clock availability for children ages 6 weeks to 12 years old. One day, she peered out the window and saw cars were lining up down the block. Deena Pringle of Romulus spotted the Facebook ad while she was in a desperate search to find affordable child care for her two daughters, ages 7 and 9. Some centers charge up to $365 weekly per child, but Pringle, an assistant school principal, needed affordability and reliability. Her former colleague Jeter, who also provides after-school care, offered both. But being in high demand and making a living are not the same thing. “We know the system, as it’s created, doesn’t provide incentives or even cover the costs of business owners,” said Khalilah Burt Gaston, a program officer for the W.K. Kellogg Foundation, which has partnered with the Kresge Foundation to improve access and quality to Detroit child care programs as part of the Hope Starts Here initiative. (Disclosure: Both foundations also donate to The Center for Michigan, the nonprofit that operates Bridge Magazine, and Chalkbeat). Jeter has learned that lesson. She’s found that running a business means more than educating and caring for children. It also means absorbing parents’ missed payments, sympathizing with their job losses and tolerating their erratic schedules. With 21 children coming at different hours, and being limited to six children at any given time, managing her tiny clients and their parents turns into a daily juggling act. She’s hired an assistant, and to help pay bills, she does graphic design and event photography on Saturday evenings and on Sundays, the only day Creative Hearts is closed. Jeter reaps about $3,000 in monthly in child care reimbursements, and receives $25 weekly per child from most parents who get state-subsidized child care. Parents with higher incomes pay more. She also charges a higher fee for after-school care. At the same time, utilities run at least $500 a month and supplies — diapers, baby wipes and toilet paper — about $800 monthly. Although a nonprofit program reimburses some meal costs, Jeter finds herself spending out of pocket for what some clients don’t provide — a change of clothes or even a decent baby carrier. The state uses a five-star rating quality rating system that pays more money — 25, 50 or 75 cents more per hour per child depending on the provider’s star rating — encourages improvement by offering higher reimbursement to those who upgrade their homes, improve their programs and earn college credits. But earning stars is not that easy, and for some, it’s not worth it. “It’s a nightmare for some of them because it’s extremely hard,” said Monica Duncan, director of Early Childhood Services for IFF. Besides giving parents an at-a-glance rating, the star system also was designed to help providers measure their quality and success, said Kelly Kreider, senior director of the state’s Great Start to Quality program, run by the Early Childhood Investment Corp. The system also is difficult for center-based providers like Monique Snyder, who runs the five-star-rated Brainiacs Clubhouse, a child care center in the city’s northeast corner, which has a capacity of 48 children. Between meeting state quality standards and paying teachers enough to retain them, it’s difficult to make ends meet, she said. “If I didn’t offer summer camps and do consulting work on the side, I wouldn’t be able to keep my doors open,” she said. The Kellogg and Kresge foundations last year announced plans to spend $50 million on the 10-year Hope Starts Here initiative. Besides helping to improve access and quality to child care in Detroit, the initiative includes building support for providers like Jeter, and the Kresge Foundation is partnering with IFF to develop at least three early childhood education centers in Detroit. Duncan said a design is in the works for the first center, and its location will soon be announced. Meanwhile, child care advocates and philanthropists want more grants available to providers and are pushing to encourage policymakers to increase reimbursement rates. That would be good for everybody, Jeter said.